Personalised umbrellas? Why not design your own personalised umbrella? Design your own Unique Personalised Umbrella! Looking for personalised umbrellas? Did you ever wish you could have your own unique design on a single personalised umbrella? 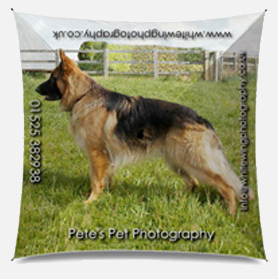 A full colour image or photograph digitally printed in high resolution across the entire canopy? It’s actually quite difficult to find companies who are prepared to produce custom made personalized umbrellas in small order quantities. Most companies insist on a minimum order quantity of at least 25 umbrellas. This is due to the time and cost of artwork origination and set up. It’s also expensive and difficult to find companies able to print an image across the panels of the umbrella canopy. Here at Umbrella Heaven we have the answer. A unique, hand made square canopied umbrella made in Britain! These stylish, design winning square shaped umbrellas are the perfect shape to frame your special photo, design or artwork. A personalized umbrella with a distinctive, modern looking square shape canopy. 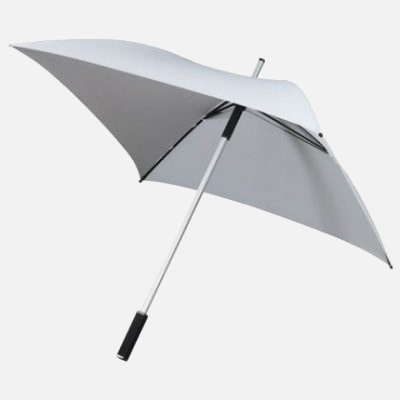 These unique umbrellas sport a lightweight square section aluminium shaft. They also have a rubber coated square profile straight handle. With a modern, flexible, fibreglass frame – these new square umbrellas are lightweight and totally windproof. They’re a good size too – approximately 102 cm (40 inches) in length with a canopy width of 94cm (a generous 37 inches)! Using hi-res digital printing technology we print your design onto a quality fabric. This is hand cut and hem-stitched to create the “square” canopy, which is then sewn to the frame. We then package this up and ship to any country in the world. The whole process normally takes around 10 – 14 days. But if you have an urgent deadline, let us know and we’ll see if we can turn things round more quickly if we’re able. A personalised umbrella – unique, custom made for you! Do you know someone who simply adores their pet? Perhaps a special umbrella to take to the dog show or just out with you when dog walking? Maybe you run a small business and would like a few very special personalised umbrellas to have with you when out and about to advertise your business? 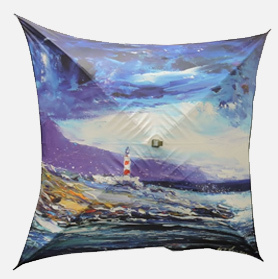 Perhaps you know someone who is an art lover and would love to have their favourite artist’s painting reproduced onto their ownunique umbrella? (copyright permitting, of course!) We also have avariety of art based umbrellas for sale. Including the signed works of Jo Lowrie Morrison, an accomplished artist! Artwork is preferred as a hi-res .pdf or .eps vector file (with fonts converted to “outline”). Some other formats are possible but remember – the higher the resolution of your image, the higher the quality of your finished umbrella. If the file size is too big to email then upload it to WeTransfer, Dropbox, Mailbigfile or similar and send us the link to download. Proud of your country or clan? Why not get your national flag printed? As you can see the possibilities are endless! Unique British manufactured personalised umbrellas, custom designed to suit your specific requirement – and with no minimum order quantity. So how much does it cost for your very own personalised umbrella? Well, perhaps not as much as you thought. Our special price is just £69.99 each plus £25.00 setup plus shipping + VAT. The process we use to manufacture these personalised umbrellas is generally cost effective if you’re looking for full colour or photographic images printed across the entire canopy. It’s particularly appropriate for a single personalised umbrella or a small quantity of personalised umbrellas. However, if you’re looking for higher quantities or if you have simpler print requirements then take a look at our offering on promotional umbrellas – click here.